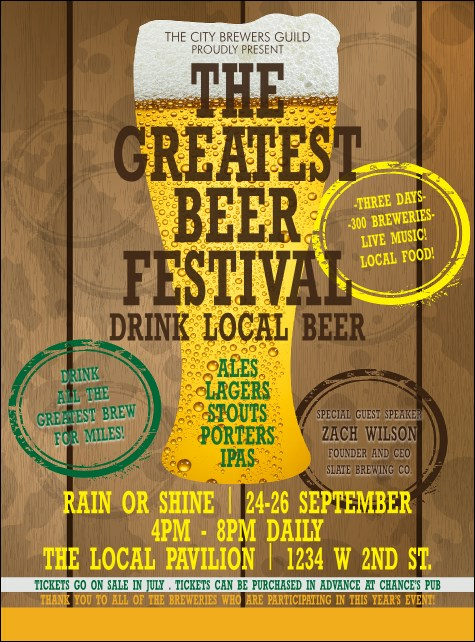 Tap into your best pre-event promotions and let them flow freely when you print Beer Festival Flyers and post them before your next event. Advertise in advance with Flyers that feature a thirst-quenching glass of ice-cold beer front and center along with room to add twenty-nine lines of unique text for all your event details. UK Ticket Printing helps you brew the best advertising.